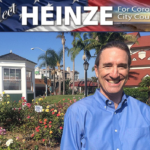 I am ready to be your next Councilman and serve you and Coronado by preserving what makes Coronado unique. Having served you as a volunteer in Coronado government, I am qualified and ready to serve you and Coronado as your next Councilman. I am dedicated to continuously improving the quality of life in our most special and unique community, and to ensuring the safety and security of our Coronado citizens. My 28-year military career as a Navy Explosive Ordnance Disposal Officer, subsequent work in homeland security and involvement with our city government give me the skills, experience and problem-solving abilities needed on the Coronado City Council. I am ready to serve you on our council, but most importantly, I am ready to listen and to learn from our Coronado citizens, helping me make the rational, reasonable decisions need to keep Coronado special. 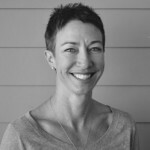 An experienced leader in crisis response, I remain focused on maintaining community safety and security and on using my education in Architecture and Mechanical Engineering to guide us in appropriate infrastructure improvements (such as utility undergrounding), traffic mitigation planning and community revitalization. Raised by depression era parents, I will zealously protect our city resources. I have served the public my entire life, as an Eagle Scout, a Navy Captain, a civil servant, a volunteer in community organizations and a volunteer in our city government. Currently serving on the Coronado Planning Commission and a number of our community non-profit Boards, I am ready to represent each of you on our City Council.